Respect the badge! 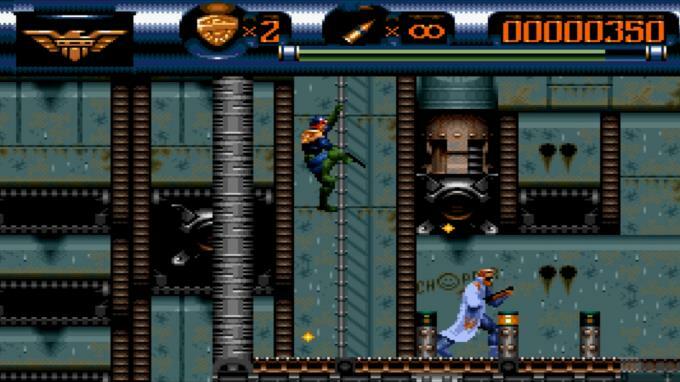 Dredd is back, and he’s cleaning up the streets of Mega-City One again in this classic shoot-em-up platformer. In the 3rd millennium, Earth has become an uninhabitable wasteland. Humanity resides in huge Mega-Cities, where the traditional justice system has been replaced by a corps of Judges whose role combines those of police officer, judge, jury, and executioner. 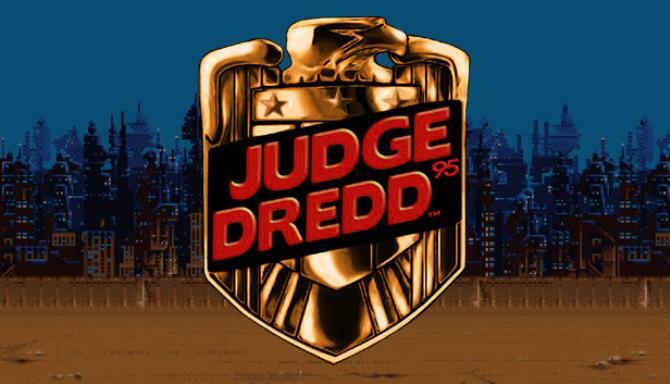 The most celebrated and decorated Judge, Joseph Dredd, is dedicated to meting out justice wherever, and whenever he can. 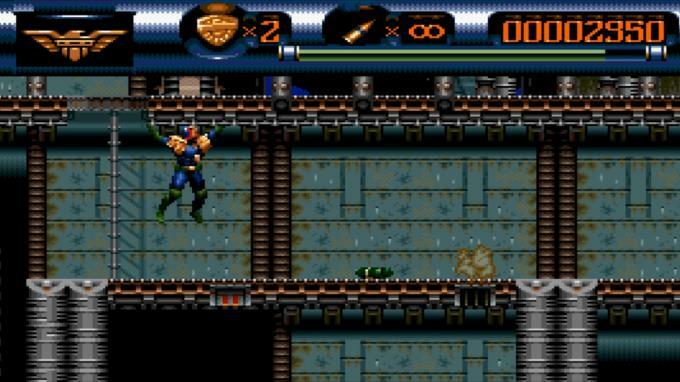 Help Dredd fight his way through the dark streets and alleys of the city, to apprehend the rogue Judge Rico, and to do final battle with the Dark Judges on Deadworld.